With only six players remaining in Event #58: $5,000 No-Limit Hold'em 6-Handed, many eyes will be on Jean-Robert Bellande in Sunday as he leads the final table looking for the first bracelet of his career. The $888 Crazy Eights also resumes with two more starting flights. Also of note, the $365 Giant returns for Day 3 with nine players left and the final starting slight of the PLO Giant gets underway. In the $10,000 Pot-Limit Omaha Hi-Lo, Michael McKenna leads the final 24 players with Nathan Gamble, Cliff Josephy, Brandon Shack-Harris, Phil Galfond, and Eli Elezra also returning. The official Day 2 got underway Saturday with 527 returning to the Rio from a total field of 8,920 entries over five Fridays of play. Only nine remain for Sunday’s Day 3 and the winner will take home $250,000 and the bracelet. 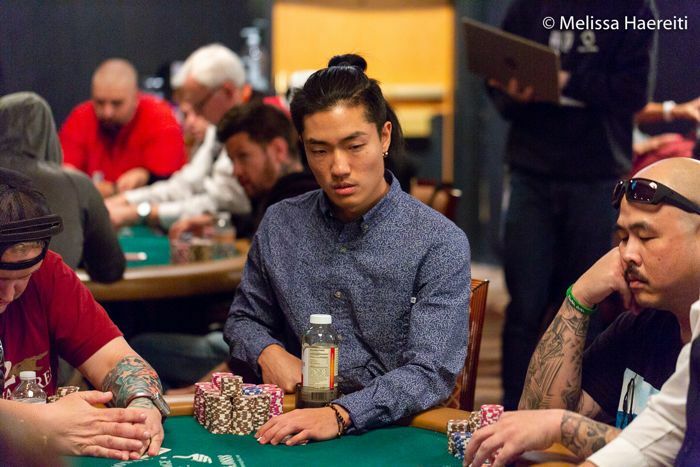 Brazil’s Kaneoya leads the field with over 56 million in chips. He has a bit more than $136,000 in live tournament winnings and looking for his first major tournament victory. Can he bring it home in the Giant? Check back with PokerNews to find out when the event restarts at 2 p.m. To follow all the live updates, please click here to follow along. Day 2 will finally get underway on Monday at 2 p.m. with level durations increasing from 20 minutes to 40 minutes. PokerNews will have all your live updates right here. With only six players remaining, one big name sits at the top of the heap – Jean-Robert Bellande with 5,050,000 chips, about 33 percent of the those in play. 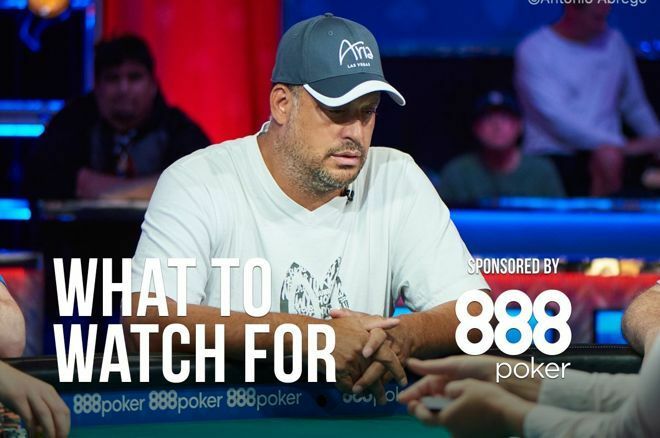 Despite an illustrious career with $1.6 million in live tournament cashes and playing in some of the biggest games in the world, Bellande has yet to win a WSOP bracelet. He’ll have a huge opportunity to check off that accomplishment on Sunday. Other players still remaining include: Dean Lyall (2,700,000), Kacper Pyzara (2,605,000), Andrew Graham (2,430,000), Tay Nguyen (1,485,000), and Eric Blair (1,310,000). This event attracted 621 runners for a prize pool of $2.8 million including $616,302 to the winner. The final table begins at 2 p.m. and should play down to a champion. Check back with PokerNews for all your live updates. Poker Central will also be streaming this final table via Twitch; you can find the embed in the live reporting once the final table gets underway. Only 125 players started the day from a field of 237, creating a total prize pool of $2.2 million. The winner will take home $567,788 and a bracelet. With just 24 players remaining, the event’s third day will feature plenty of big pots and several big names hoping for a title. Michael McKenna, fresh off a final table appearance in Event #50: $1,500 Razz, returns as chip leader with 1,048,000. Following him are Ali Abduljabbar (804,000) and French routinier Michel Abecassis (699,000). Others advancing included Nathan Gamble (640,000), Jim Collopy (582,000), Cliff Josephy (480,000), Randy Ohel, (476,000), Brandon Shack-Harris (417,000), Phil Galfond (308,000), and Eli Elezra (146,000). 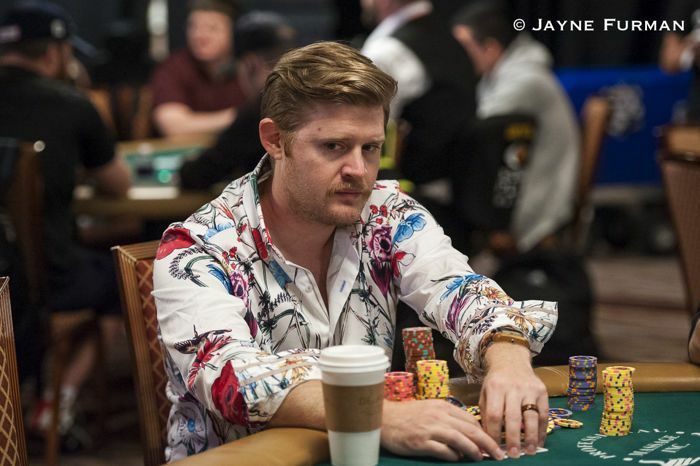 Nathan Gamble has had a big couple years in big field PLO events, winning the $1,500 PLO Hi-Lo in 2017 and then finishing 10th in the event again only days ago. He also finished eighth in the $1,500 Mixed Omaha this summer as well. Gamble is a former member of the U.S. Army, and PokerNews will have an interesting feature on him on Sunday. The cards will be back in the air at 2 p.m. and should play down to a winner. Click back to PokerNews for all the live updates. With two Day 1 flights in the books, Sunday will bring two more starting flights with Day 2 commencing on Monday. Flight 1A drew 1,703 entries with only 99 advancing. 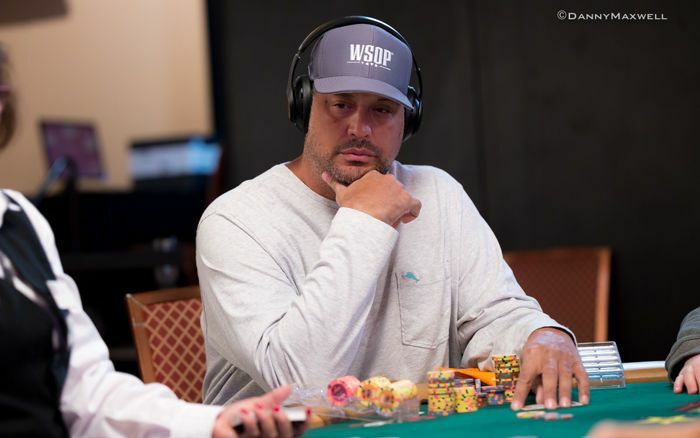 Anthony Reategui bagged the chip lead in this flight with 369,000 followed by Peter Nigh (352,000), Kyle Keranen (286,000), Aaron Pinson (281,000), Josef Snejberg (274,000), and Daniel Gamliel (272,000). Others bagging chips included Clyde Shimp (244,000), Ismael Bojang (233,000), Mike Leah (155,000), Kyle Hartree (193,000), Carlos Chang (151,000), Sandeep Vasudevan (148,000), Ashley Sleeth (111,000), and Jeremy Ausmus (106,000). Flight 2B drew a total of 1,908 entries, with just 90 advancing to Monday. Raymond (last name missing on the official list) bagged the chip lead with 685,000 followed by Matthew Schreiber (662,000) and Troy Southerland (519,000). Others advancing included Nissar Quraishi (377,000), Jiri Horak (199,000), Shai Zurr (87,000), Galen Hall (64,000), and Hung Le (148,000), who won this event in 2016. With the first two flights completed, the Crazy Eights has attracted a combined total of 3,611 entries with only 198 advancing. Two more flights are on deck Sunday at 10 a.m. and 5 p.m. Unlimited re-entries will be allowed with late registration through eight levels. Players will begin with 8,000 chips and levels will last 30 minutes on Day 1, and then increase to 60 minutes for Days 2 and 3. 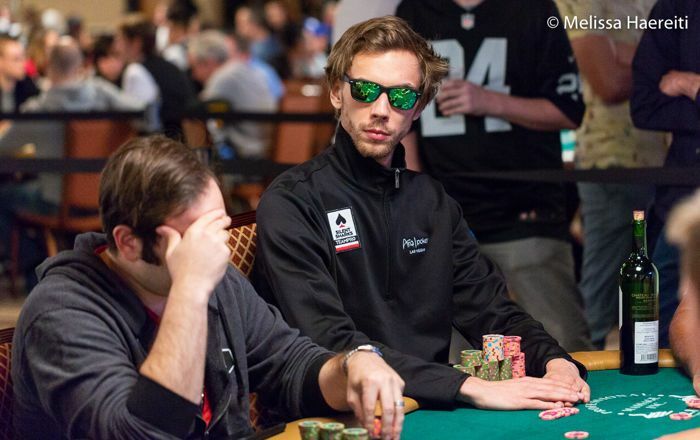 PokerNews has you covered for all the live updates. Also, click here for a bit of the history of this exciting event. If the Crazy Eights isn’t your thing (or you bust out), the Seven Card Stud Hi-Lo should be a big one for pros and Stud Hi-Lo fans. The event features a starting stack of 50,000 with 60-minute levels and is the last event beginning before the Main Event kicks off on Monday. Late registration is allowed through the beginning of Day 2. Chris Vitch won his second bracelet in this event in 2017 for a $320,193 score. 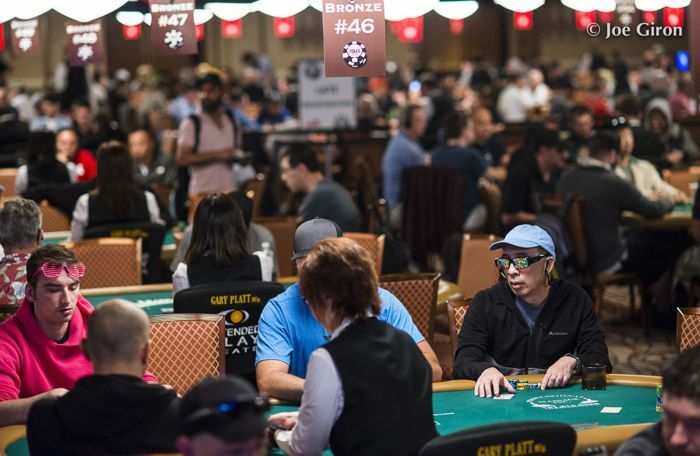 The cards are in the air at 3 p.m., and PokerNews will be there for every street.